The Cloud-Aerosol Transport System, or CATS, is a lidar remote-sensing instrument set to launch tomorrow on SpaceX CRS-5. 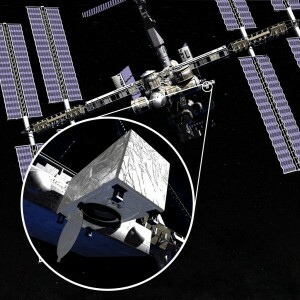 The payload will extend profile measurements of atmospheric aerosols and clouds from the International Space Station. CATS is designed to measure the location, composition and distribution of pollution, dust, smoke, aerosols and other particulates in Earth’s atmosphere. The findings will improve our understanding of aerosol and cloud properties and interactions and improve climate change models.